Fixes to pattern instructions can be found here. If you find something amiss in a pattern you’re working on, please contact me and we’ll get it figured out! 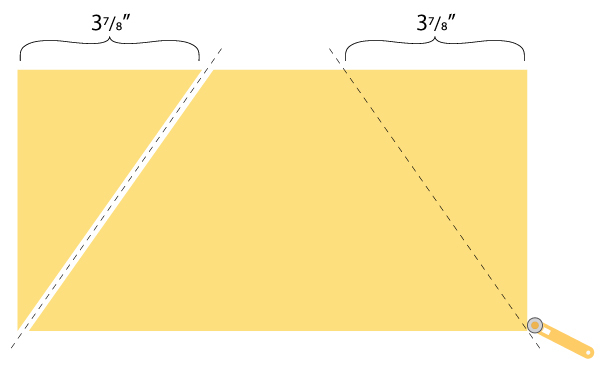 Cut your yardage in half along the width so that your two pieces measure 22.5″ x 22″. If you are working from the recommended yardage, cut it in half along the yardage, so that you have two 1¾ yard x width of fabric lengths, and sew it back together along the selvage edges. As perfect as we try to make each and every pattern, with so many projects in such a small span of time, errors are bound to happen. While we hope those errors are few, as they are discovered we will be posting the fixes here. Changes to the pattern are bolded in the text, and any diagrams that have needed changing will also be shown. We recommend writing down these changes within the book for future project making. 16. Position the star pocket (Pocket B) on the canvas piece, making sure it opens toward the top. Pocket B’s top edge should be 4-1/4″ from the top edge of the canvas. Match and pin the raw side edges. Stitch across the bottom of the pocket through all the layers, a scant 1/16″ from the edge. Don’t remove the side pins yet. Click the image to make it larger for easier viewing. Background/Solid: Cut 11 strips, 2-3/4″ x width of fabric; Cut 30 strips 1-1/4″ x width of fabric. These 17 blocks are made from the 3-1/2″ squares and 2-3/4″ strips. 9. Chain piece the finished units from Step 8 to another 2-3/4″strip. … Square the blocks to 8″ x 8″(see page 159). 11. These 123 blocks are made from the 1-1/2″ squares and 1-1/4″strips. … Square these blocks to 3″ x 3″. Cut 4 strips, 4 1/4″ x width of fabric. Subcut them into 34 squares, each measuring 4 1/4″ x 4 1/4″. Cut 2 strips, 4 1/2″ x width of fabric. Subcut them into 72 squares, each measuring 4 1/2″ x 4 1/2″. Cut 2 strips, 2 1/2″ x width of fabric.